Joseph Chetrit is continuing his real estate shopping spree with the $150 million purchase of a prime 1.5-acre site near Gramercy Park. The Chetrit Group and partners are in contract to buy the former Cabrini Medical Center at 227 East 19th Street, the Wall Street Journal reported. 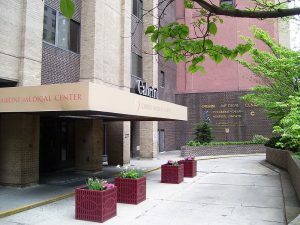 The five-building complex at Second Avenue and East 19th Street was created by the merger of two Manhattan hospitals, and the hospital closed in 2008 because of financial troubles. Memorial Sloan-Kettering Cancer Center acquired the site for $83 million in 2010. The property, located a block from Gramercy Park, has been marketed as a chance to create a 400,000-square-foot residential space in one of Manhattan’s most coveted neighborhoods. Earlier this year, the Chetrit Group snagged Sony’s 550 Madison Avenue headquarters for a staggering $1.1 billion, with plans to convert the property into high-end condos. In February, Chetrit and David Bistricer partnered to buy the 46-story Flatotel at 135 West 52nd Street in Times Square, which traded for $180 million and will also be converted into luxury condos.